Crelate was rated #10 among all applicant tracking systems in the G2Crowd Top 20 Easiest to Use Applicant Tracking System (ATS) Softwares Spring 2018. This rating is based on targeted questions that enable users to rate software for ease of use, ease of administration, how well it meets their requirements, and the percentage of users that say they adopted the software. The rating is further broken down by customer size and industry. Of the Top 20 finalists, only Crelate and 5 others provide solutions specifically for the staffing and recruiting industry. Our ranking as easy to use, compliments our being named the Most Implementable ATS of 2018 as well. Crelate ranked in the Top 10, when compared against almost 50 other Applicant Tracking Systems from other companies in the rankings, and received a usability score of 8.7 out of 10 possible points. Additionally, over 88% of customers say their users successfully adopted Crelate Talent, versus a category average of 83%. Crelate’s ratings were based on reviews from over 80 verified users. The high marks in overall usability and adoption rate mean that it’s easy for users to become productive on the Crelate platform with little or no training. Based on the breakdown of users migrating from existing ATS systems, or coming from no system (like spreadsheets), it shows that users are successful in making the move to using Crelate for day-to-day operations. Ease of use delivers a shallower learning curve for current and incoming team members, and improves the efficiency of day-to-day operations. We’re excited to receive such high ratings in usability, since ease of use plays a major role in making Crelate Talent a comprehensive ATS and recruiting CRM that provides the best long term ROI for our customers. Our combined ATS and Recruiting CRM helps recruiting and staffing agencies rely less on manual data entry, utilize their candidate data pool for better sourcing and reporting, quickly and accurately rate candidates, and measure candidate engagement. 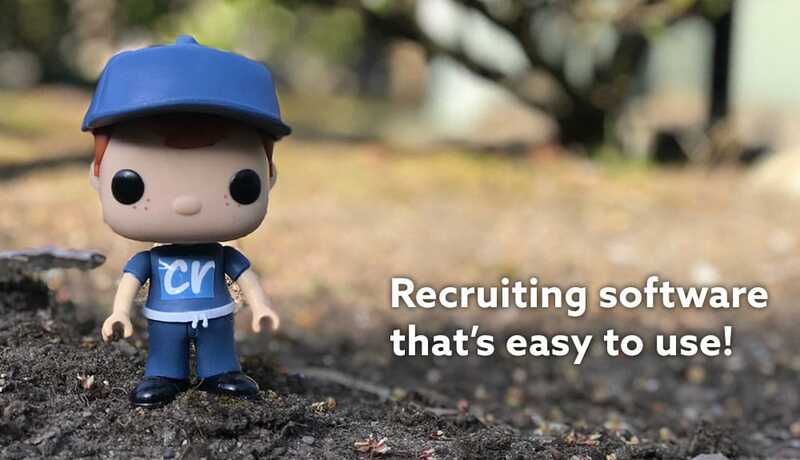 Modern recruiting solutions need to pack is a lot of functionality into a single piece of software, so intuitive design and accessible workflows are paramount to streamlining the recruiting process from end to end. Crelate users rated Crelate at 8.9 and 9.3 out of 10 for ease of use and ease of admin. So we’re excited to get feedback from our users that it’s easy to jump into Crelate Talent and positively impact time-to-hire and candidate conversions. Crelate also received an 8.8 approval rating in meeting user requirements. Crelate Talent is an all-encompassing software, and there are a lot of needs to meet when providing a single solution that ties the ATS and CRM levels together. What we’re hearing from our customers right now is that we’re meeting their needs on both levels as we connect these two processes. We’re always working to improve Crelate Talent, and the G2Crowd rankings provide valuable information about what’s working for our customers and what we should focus on improving. We look forward to improving our software, adding more benefits for our users, and hearing what you think. You can read user reviews of Crelate talent on the Crelate Talent Reviews page. If you’re already a Crelate user, feel free to leave a review.